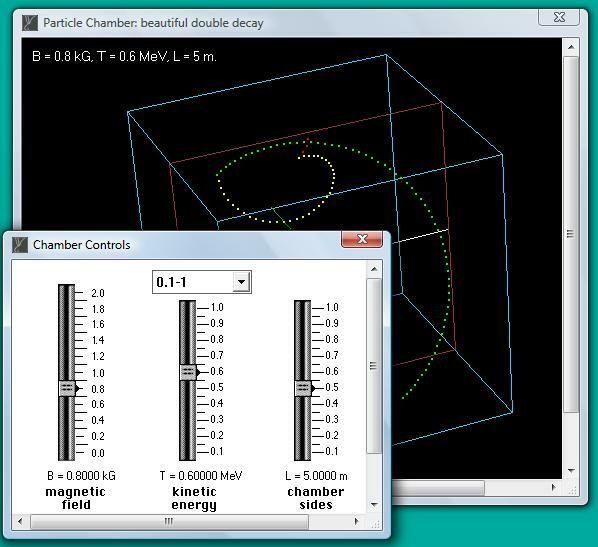 OnScreen Particle Physics™ controls let you set the magnetic field, chamber size, and the injected particle's energy. Note that the chamber window in the background lists parameters corresponding to the displayed event. The kinetic energy of injected particle can range from 0.01 Mev to 100 Mev.